In the world of grip equipment, the Stabileye could one day be king. The remotely-operated, miniature stabilised head, which weighs around 3kg, and can easily be carried in hand, has seen action on films as diverse as Darkest Hour to Assassin’s Creed and has held its own on The Guardians Of The Galaxy Vol 2. 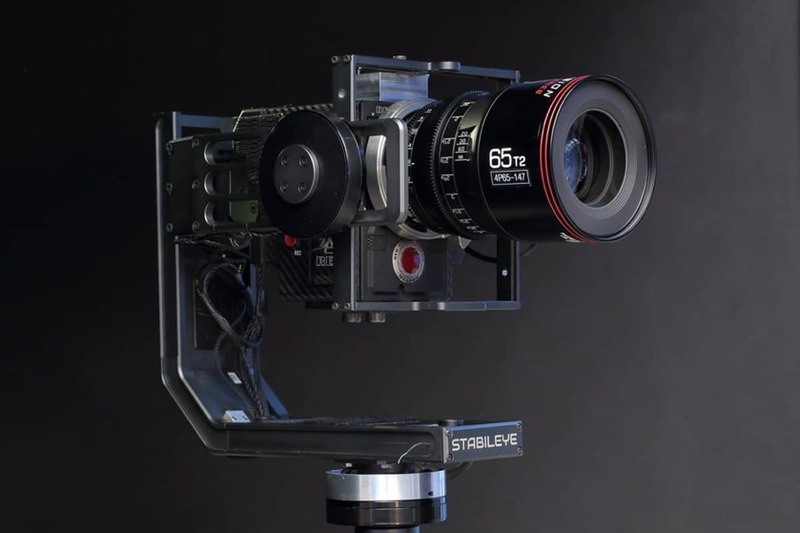 Stabileye is the brainchild of Dave Freeth and Paul Legall, co-directors of the eponymous company, who “try very hard to constantly modify and evolve the equipment, in order to supply the demand” from a growing fan base of grips and camera operators. The Stabileye will automatically stabilise the camera, while the operator lines up the shot. It is, in fact, more akin to a dolly, though it has no need for a track, and you’d find it hard to hand one of them through a window. The Stabileye has its roots in attempts by Legall and Freeth to develop an aerial camera platform in the early days of drone use. Freeth, who trained as a watchmaker, and was then employed by the MOD to work on guidance systems, caught the filmmaking bug through working with 35mm cameras fitted under the wings of fighter planes. He followed this up with a position at film kit hire company Griphouse, becoming head of its electrical department, and working with early versions of gyro-stabilised camera heads. A move to Megamount (known today as Camera Revolution), saw him become one of the first stabiliser technicians, working with the Libra Remote Head. Although gaining civil aviation approval to fly drones, the duo found they didn’t relish going too far down the aerial camera route. “It’s inherently risky, even with all the fail-safes that we incorporated,” explains Freeth. “We turned very quickly from flying these things on helicopters and drones, to wire work. This kind of viral contact continues to spread the word about the technology. “Camera operator Des Whelan was introduced to Stabileye on Darkest Hour, and went on to use it on the opening sequence of Dumbo, and The Commuter,” says Freeth. “Instead of grabbing the dolly, they would grab Stabileye. 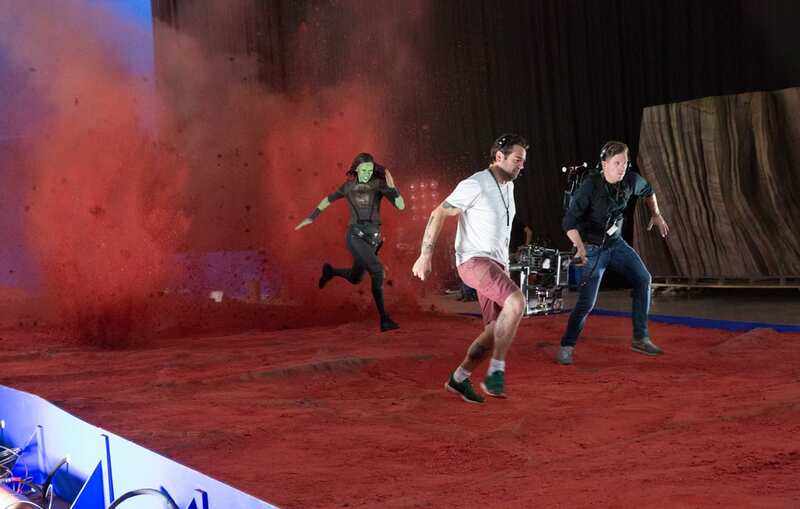 “It can be a constantly evolving shot – being walked about the set, then grabbed and clipped onto a line, then it’ll get drawn up to a bridge where someone will take it off and pin it to another piece of equipment,” Freeth adds. “On a film set, when you film something, and then you do the reverse, you have to turn around. Often there is lots of equipment that has to be put away, to get out of shot, but with Stabileye being so small, you can just walk, then just turn around - it saves a lot of time. "We advertise Stabileye as grip equipment. So, it is like a dolly, but as we evolve it, we try to make it as powerful as possible, while keeping the weight as light as possible. Stabileye is currently about 2.8kg without a camera. I think some of our closest competitors are many times more than that." 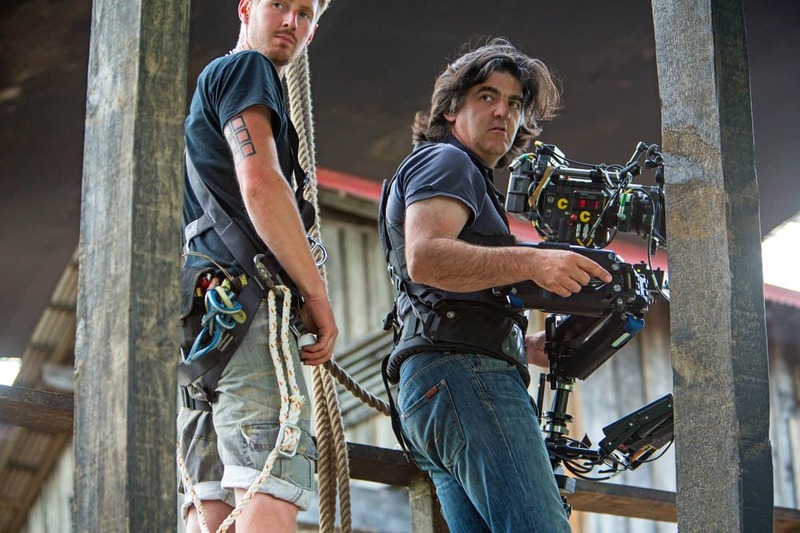 When Freeth spoke to British Cinematographer, he was heading for a shoot in New Zealand where Stabileye was to be used on horseback. It also sounds ideal for a typical movie battle scene - where 100feet of track and a dolly would be a bit more obtrusive – and less dynamic – than one grip with a Stabileye in the thick of the action. But what makes Stabileye different from other shot-stabilising kit on the market, such as gimbals? 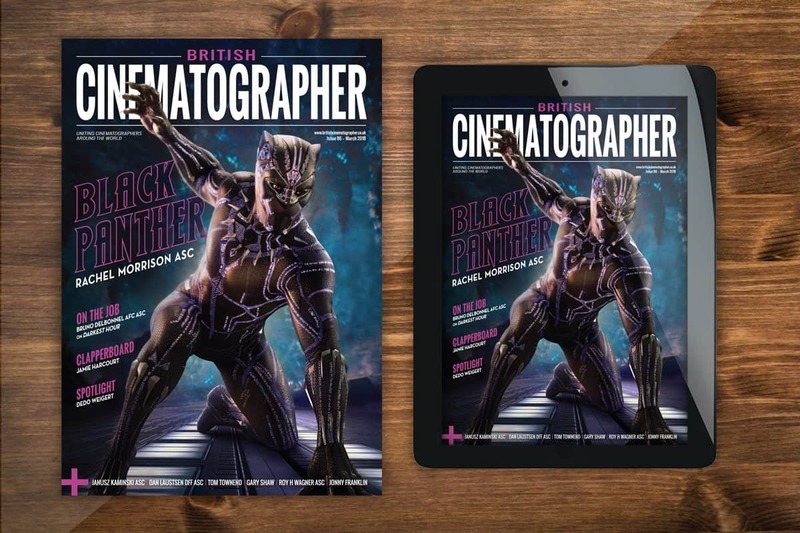 “With a gimbal you will need to know the difference between the operator deliberately pointing the lens and accidentally moving their arms,” argues Freeth. “One you’d need to stabilise, and the other you’d need to follow. What you get is a distinct lag and a very floaty feeling. “Then there are contraptions where the operator has spring-assisted arms and great big poles on their backs, with dangling cables, to carry the weight on their hips. That’s all fine and it does work,” he admits. “But the grip should be able to bend down and put the lens all the way to the floor, and stand up and reach to their full height… and they should be able to do that on the move, to be able to walk through doors; to be able to hand the camera through a window to someone. None of that is achievable when you have an exo-suit, or one of these lifting-assisting vests on. Henry Braham BSC shot that film on a Red Weapon 8K VistaVision camera with Panavision 70-series lenses. Director Gunn announced that 80% of the footage was shot using Stabileye.